It is a known fact that some of the world’s famous footballers such as Neymar, Ronaldo, Ronaldinho, Kaka and many more played futsal during their younger days. So it is no surprise that the 5-aside indoor football has been widely recognized as the main fundamental sport which contributed to the famous 11-aside beautiful game. As of first quarter of 2017, there were as many as 22 futsal venues actively used by football lovers in Singapore. It could be seen that futsal is the most popularly played sport in the small country here but unfortunately, the real futsal where it’s supposed to be played on a hard court using a low-bounce size-4 ball, is not being practiced. Simply say, Singaporeans love to play small-sided game but not futsal. Having said that, a handful of football coaches, including some from the Singapore National Futsal Team, which competed in the AFF Futsal Championship 2015 after a 14 years absence, still believe futsal has a promising future in Singapore. Rather later than never, some of the world’s famous futsal figures also remain optimistic about the developing of futsal in Southeast Asia, in particular, Singapore. 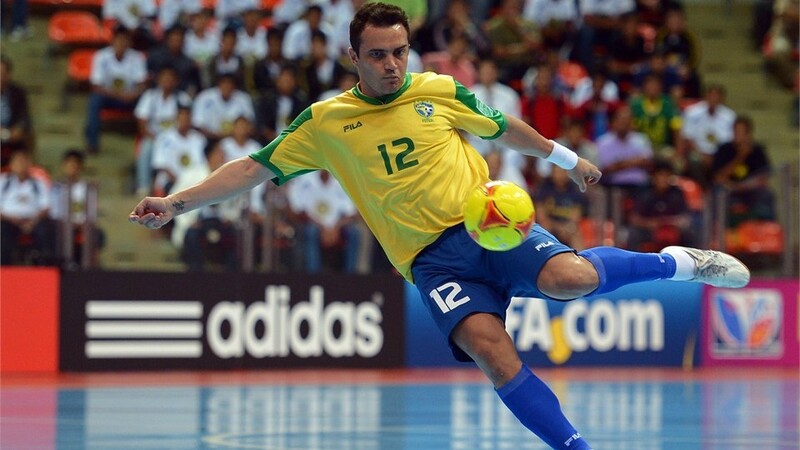 “Playing futsal is so much easier as compared to a full 11-aside game. All you need is just 10 players to get a game going. And most importantly, futsal is the best game for developing young children between the age 7 to 14 years old. This is the age group where they will need plenty of ball touches to improve their footwork and confidence,” said 2012 FIFA Futsal World Cup winning coach, Marcos Sorato. When he was asked if a small country like Singapore has what it takes to excel in futsal, the current UAE National Futsal Team’s head coach fired his idea openly at Junpiter Futbol. “In my opinion, you will need to gather the right team. A team consists of all the right people who have the right passion and specialization to form the backbone of the team. For example, get the right administrator to handle all the paper works or even logistic arrangement, get the right marketing guy to do all the marketing works, technical and etc. Of course, the Football Association (FA) will have to play an important role as well. It is also critical to have a plan to form a competitive futsal league. Amateur and corporate leagues should be welcomed as well. And lastly, not to forget, referees and even coaches should not be neglected – everyone in this futsal ecosystem should be trained and professionalized”, Coach Marcos emphasized. 4-times Best Futsal Player of the World, twice FIFA Futsal World Cup Golden Ball Award & twice FIFA Futsal World Cup winner, Falcao also shared his opinion with Junpiter Futbol exclusively. “I seriously think that sport is a very important thing. And to me, my sport is Futsal. In Brazil, there are 12 million people who play futsal actively and 400,000 registered futsal players with the Federation!” commented Falcao when he was asked about the scale of the sports in Brazil. “Both coach Marcos and myself always have a dream that is to spread the love and spirit of futsal to the world. We are constantly involving in projects all over the world such as futsal schools, courses, Exhibition Match and plenty more. I really think that even though Singapore might not be a huge country, it has the potential to make it in this game (futsal). I wish Singapore all the best in the future!” added Falcao.